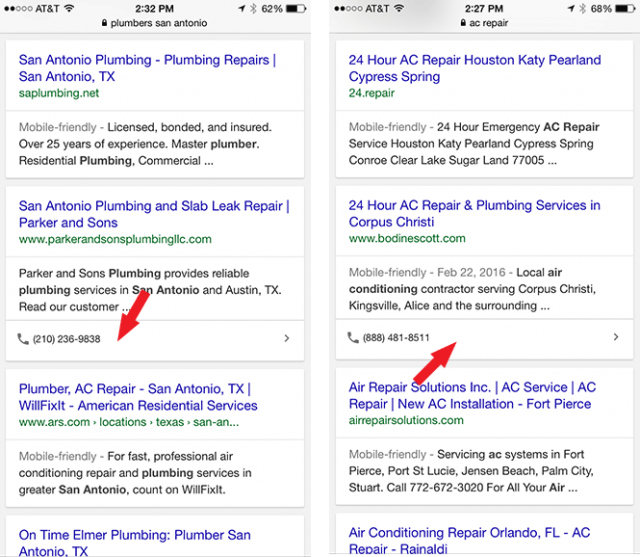 Ryan Schilling noticed Google showing a phone icon and phone number under some of the organic mobile search results. He posted a screen shot of it on Twitter. I was not able to replicate it on any of my devices, and I don't think I've ever seen this in the organic results before. Google has call extensions for their ads and AdWords, but on the organic side, outside of the local results, Google hasn't shown a phone number box for the listings, as far as I can remember.